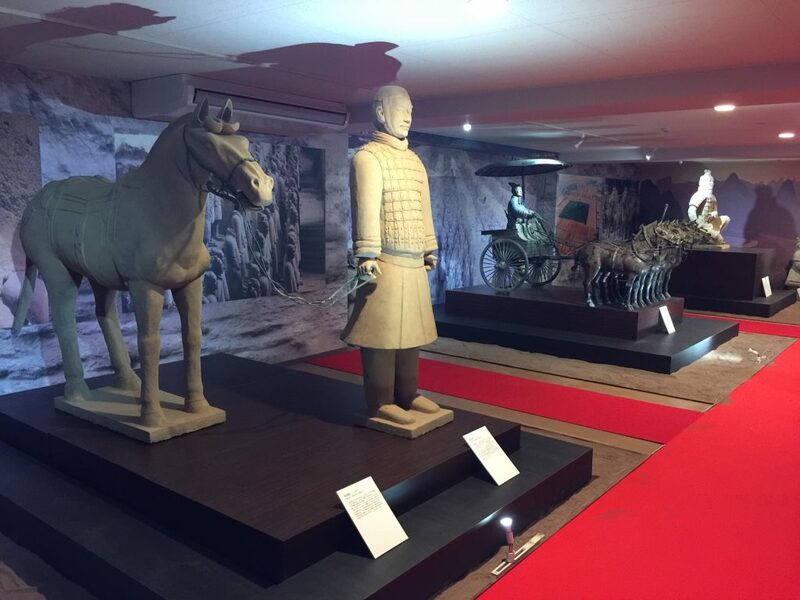 Continue reading "Ivory Sculpture Piece Agape Group Diorama 1/100"
Continue reading "Special Exhibition―The Great Terracotta Warriors and Copper Carriage Exhibition"
Continue reading "Art and Craftwork of the Edo Era loved by the 64th and 65th Prime Minister Kakuei Tanaka"
Continue reading "Shibayama Craftsmanship -Third anniversary special exhibition work-"
Continue reading "Carriage of the Lord (Palanquin) -Third anniversary special exhibition work-"
Continue reading "National Treasure Yakushiji Temple East Tower （4F）"
Continue reading "Figure of Ivory Tower Goddess and Wizards （4F）"
Continue reading "「Pietà」（Ivory Sculpture Piece） （4F）"
Continue reading "Himeji Castle (The world’s largest ivory sculpture) （1F）"
Continue reading "Exhibition: The One and Only Blessed Virgin Mary （4F）"
Continue reading "Special Exhibition commemorating Agape Ohtsuru Museum’s 2nd Anniversary"
Drive to Arima Onsen in just 15 minutes without traffic!! 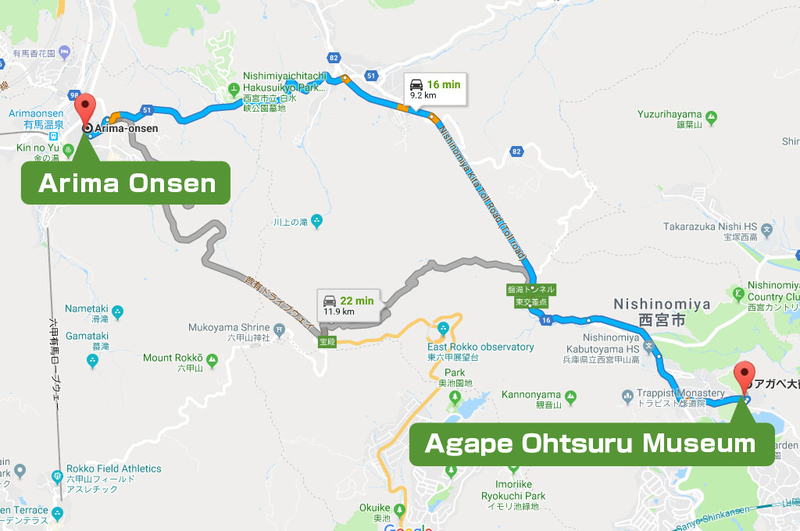 After exiting Agape Ohtsuru Museum, take a right at the Juurinji intersection, and drive straight on the Arima Highway after getting on the Nishinomiya North toll road. 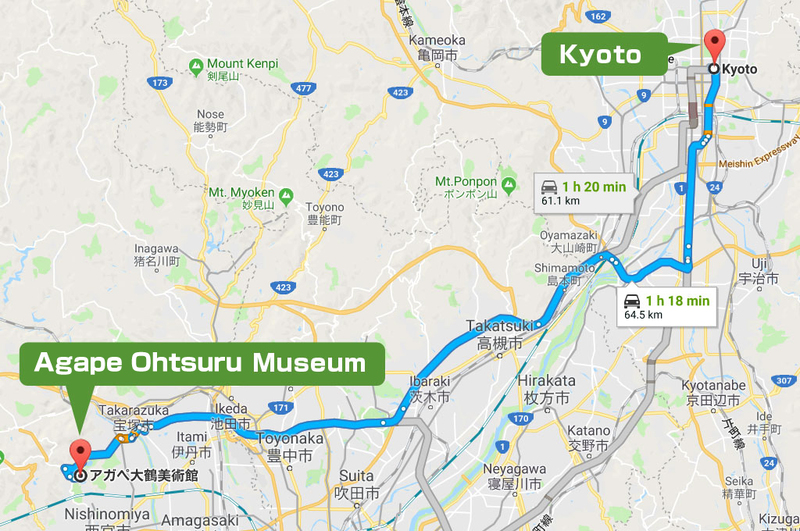 Approximately 1 hour via Sanyo Expressway! The route is an easy and safe drive with mainly highways. Hugely popular among those who visited the Himeji Castle!! You will be able to see the courtyard in front of the Tenshukaku castle tower, which is usually not open to the public! 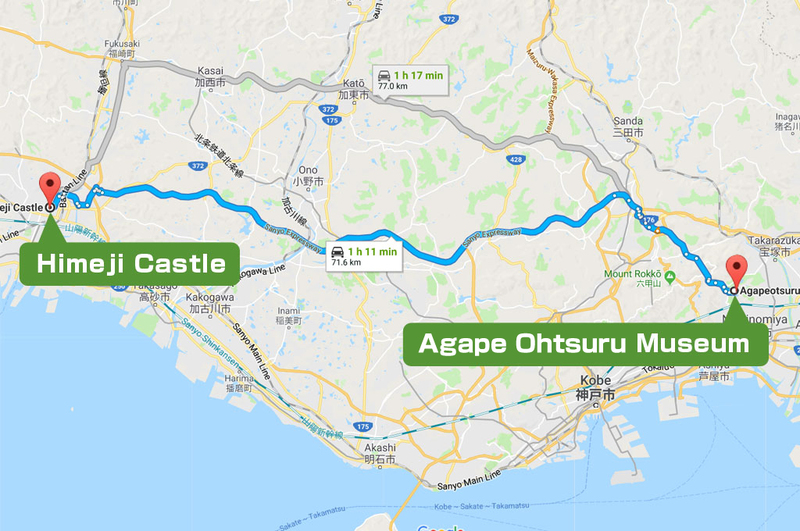 Approximately 1 hour utilizing the Meishin Expressway and Chugoku Expressway! Merely a 60km drive, mainly on freeways, which makes for an easy drive! 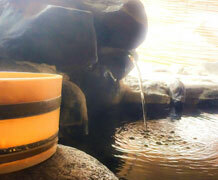 Great reviews from those who visited old capital, Kyoto!! 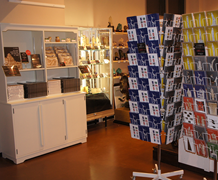 You will be blown away by the rarity and high quality of the pieces! 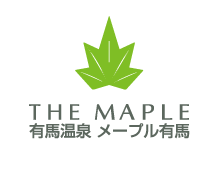 Near the Agape Ohtsuru Museum! 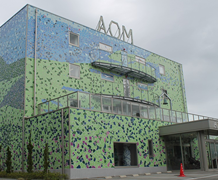 Agape Ohtsuru Museum was introduced! 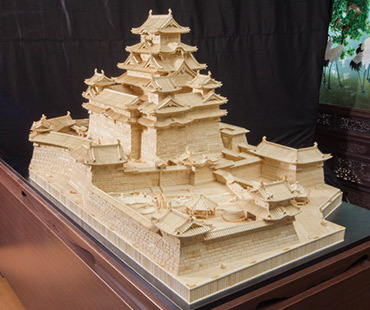 Exhibited on the first floor of the main building is “Himeji Castle (The world’s largest ivory sculpture),” which was built on a hilltop in a low-lying area by Terumasa Ikeda in 1609, the castle is also known as the White Heron Castle and lauded for its magnificence. 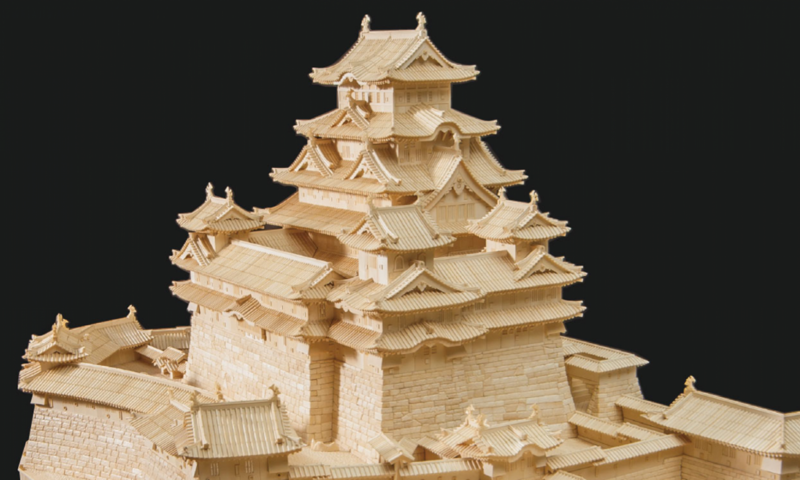 The half-hipped gable of the donjon, windows arranged in pairs, and the supports of the roofs were constructed during the peak of castle building in Japan. All of the structures, including the stonewalling, are designated as national treasures. 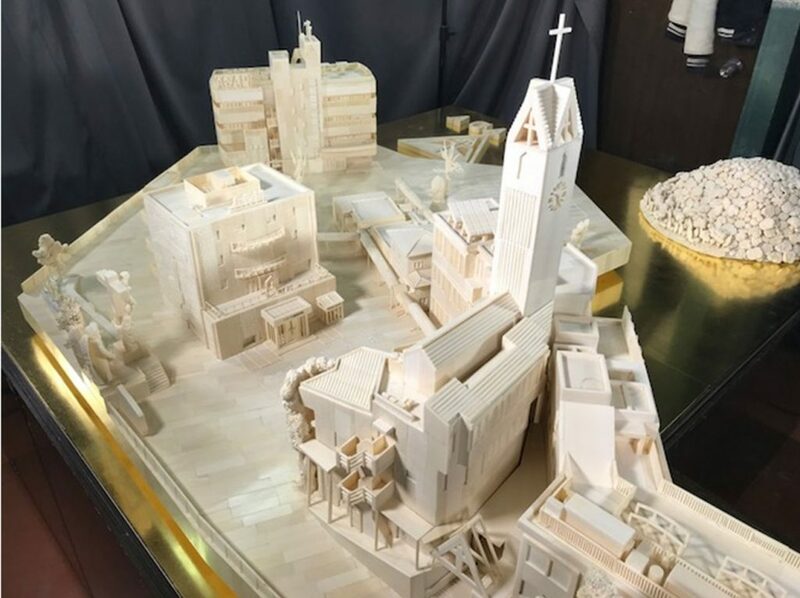 The piece is a reproduction of the castle reduced in scale to 1/50(Width: 250cm; Depth: 150cm; Height: 190cm; Weight: 155kg) of its original size and is the first art of its kind to be made in Japan with ivory. 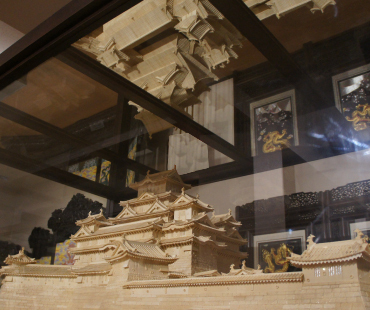 In the main building, a mirror is fixed on the top of the case of “Himeji Castle (The world’s largest ivory sculpture),” so the audience can see the courtyard in front of the donjon that is otherwise difficult to view. Introduced in the late Edo era by Onogi Senzo (later known as Shibayama Senzo) of Shimousa (present day Chiba prefecture), Shibayama. 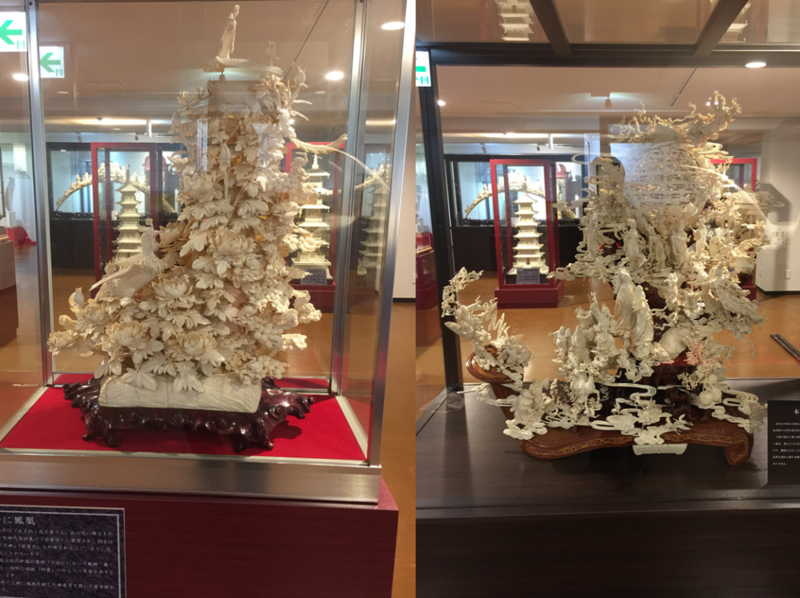 Shibayama craftsmanship is a drawing of patterns such as flowers, birds, and people on lacquer ware and ivory by utilizing pearl oysters, abalone, coral, ivory, tortoiseshells, etc. and is known for the patterns that rise above the surface of the finish. 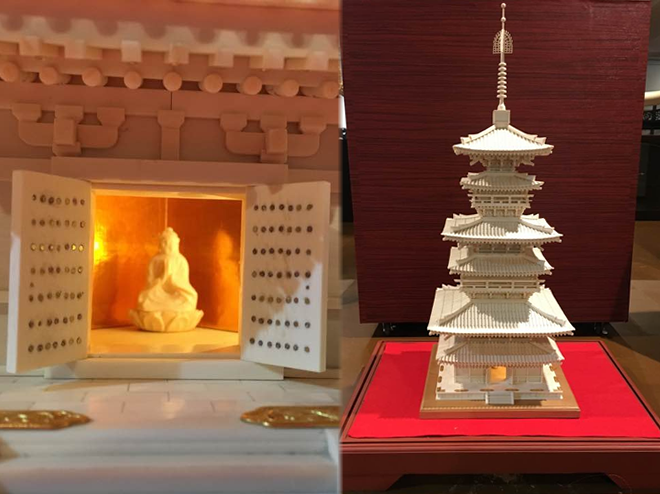 Shibayama craftsmanship widely known in Edo, began creating pieces for foreigners after the opening of the Yokohama Port in 1859. 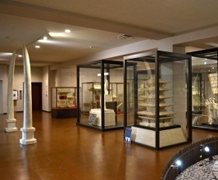 Shibayama craftsmanship works exhibited in the 1873 Vienna World’s Fair charmed many and was praised as “Mosaic of the Oriental”. 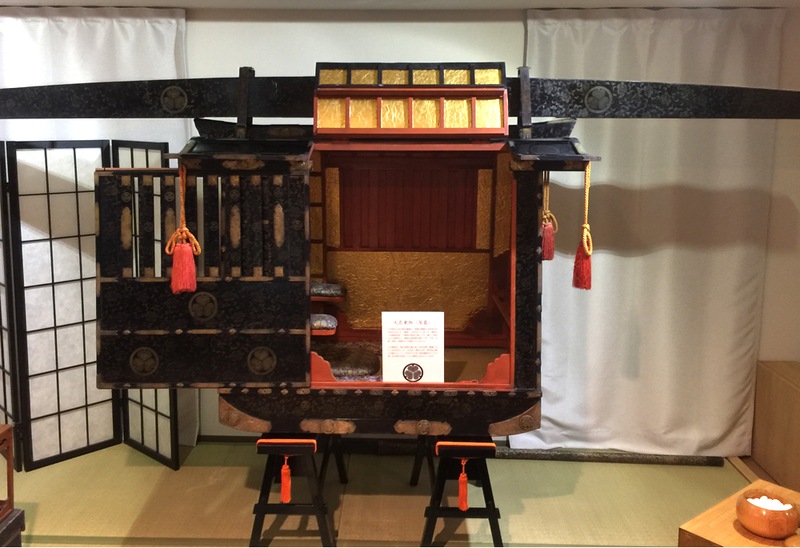 From then on, large furniture such as wooden partitions and cabinets were also created and exported to Western countries, broadening the “Shibayama” brand in the West. This work is a Shibayama craftsmanship cabinet. 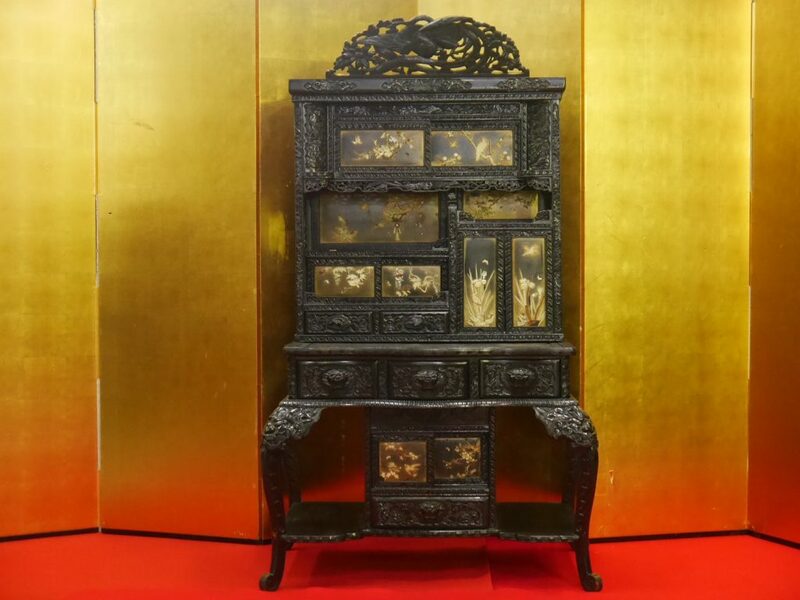 The rosewood cabinet unsparingly utilizes the characteristics of Shibayama craftsmanship such as usage of mother of pearls, lacquer, and inlay. 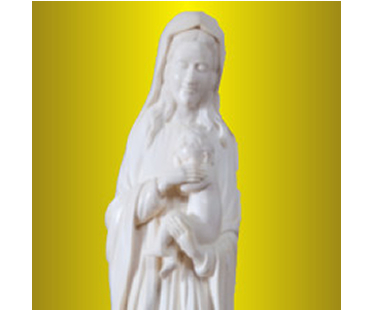 Furthermore, ivory is also used and the metal fittings are created by utilizing the techniques of the sword hilt of the Japanese katana. 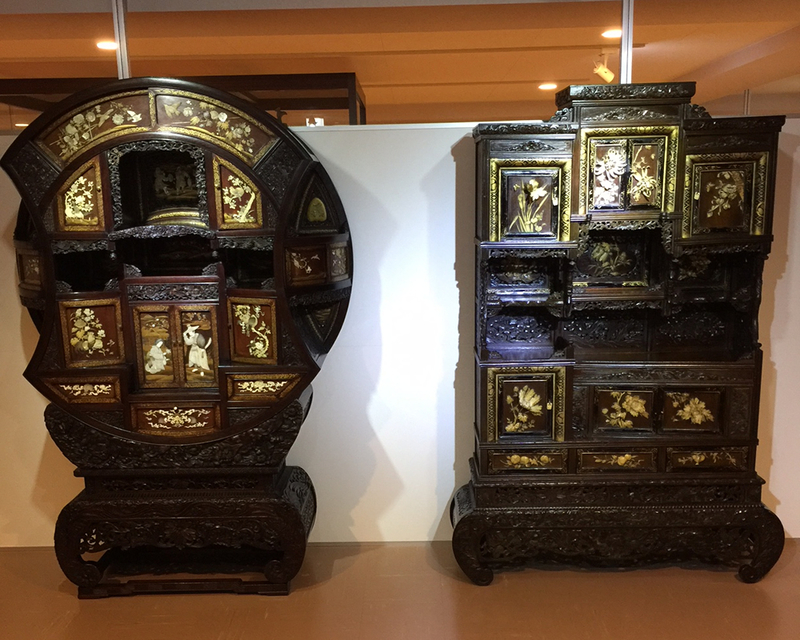 The round-shaped cabinet is extremely rare and from these works, the reasons of why Shibayama craftsmanship developed and grew in such a fast pace in the late Edo and early Meiji era can be understood. 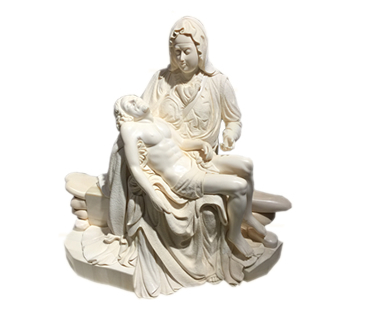 The piece is considered to be extremely rare in all traditional works of art. 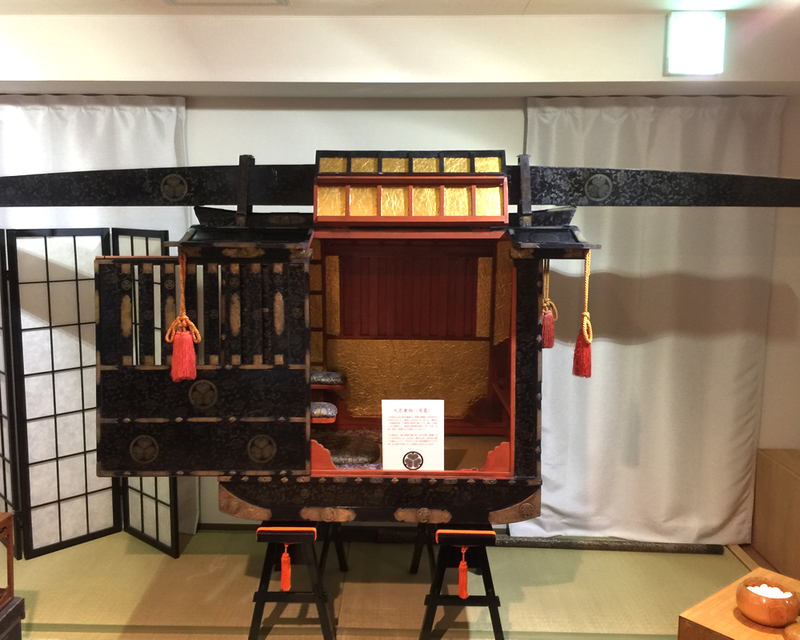 In the Edo era, the palanquin ridden by the Lord was quite different from that of the common people. 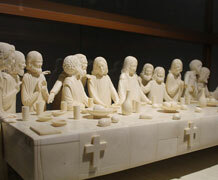 As symbolized by the Lord’s procession, it was a way to show authority. However, the Lord was not entitled to use the carriage freely. Usage of the carriage was heavily regulated by the laws for the samurai class. 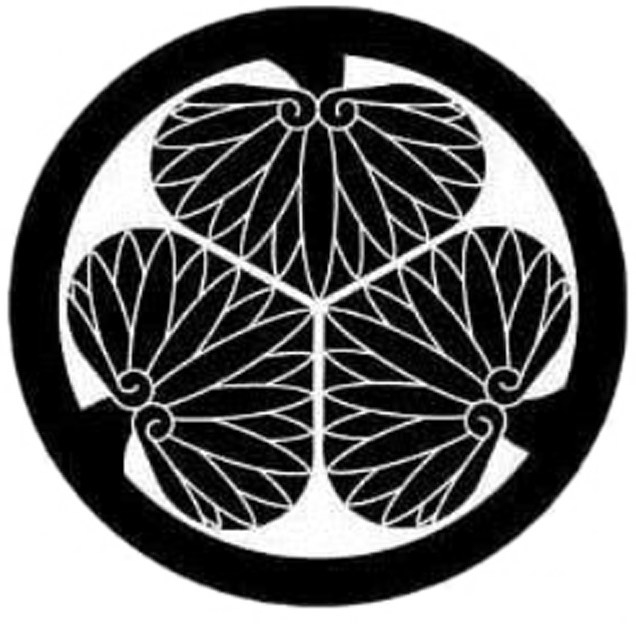 During times where the common people were not able to see the faces of noblemen, the carriage, which could only be seen during alternate attendance, was as noble as the shogun or Lord himself. 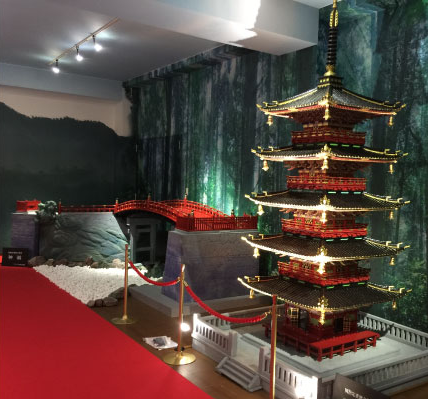 This piece was obtained by Matsudaira Sadayuki, the son of Matsudaira Sadakatsu who was the half brother of Tokugawa Ieyasu, with 150,000 koku in 1635 as the third feudal lord of the Iyo Matsuyama Clan and was owned by the Matsudaira family until the Meiji restoration.